Situated on the front of the peninsular this large sandbank provides some of the best bass angling in the area, with the back up of good flounder fishing. The long walk out from Hoylake lifeboat station to the low-water mark can be rewarding for decent-sized bass during an onshore westerly wind. Only venture out on neap tides between 23-25 feet and fish flooding tides when gullies open out. It is worth trying the ebb. School bass and flounders are caught here. Double-figure bass are not uncommon. 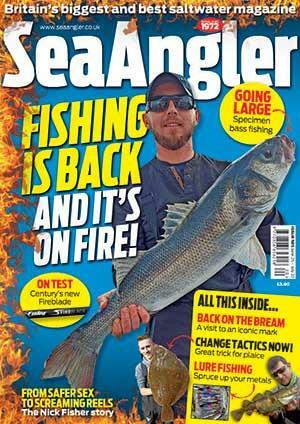 Fish from April onwards, but larger bass show in September and October. Common lugworms are best for bass, but peeler crabs can produce. Lug or rag with a mackerel tip and crabs take the flounders. Lugworms are plentiful here. Travel light due to the long walk. Use a standard or lightweight bass rod, 3-5oz leads with a one or two-hook hook flapper rig or running leger. Use size 1 or 2 hooks for flounders and size 2/0-5/0 to carry the larger bass baits. Moreton Angling, 87 Hoylake Rd, Moreton, tel: 0151677 8092. The Fisherman, 179 Laird St, Birkenhead, tel: 0151 653 4070.